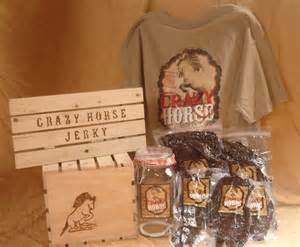 Crazy Horse Jerky offers amazing Beef Jerky Gift Baskets! Complete your Holiday Shopping early with the best gift for the man on your list! We all know men are impossible to shop for, but what man doesn't enjoy amazing beef jerky? You love our beef jerky and now, so will the hard-to-please men on your Holiday Shopping List! 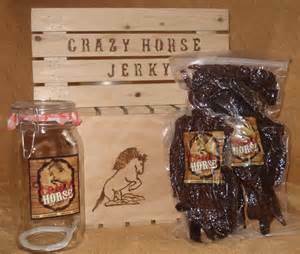 •3.5 LBs of Jerky – One LB of Original, Sweet, & Steakhouse.,1/2 LB of Cajun. All classic cut. All gift baskets will be shipped on 12/14 to ensure delivery before the holidays. If you want your basket now, please email us after your purchase. Canadian customers will receive additional invoice within 3 days of purchase for shipping. Pap's Beef Sticks for Christmas!